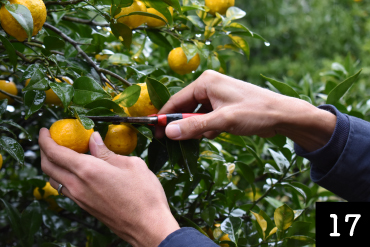 “KOKUZO YUZU” are harvested in Nomi city, Ishikawa Pref. 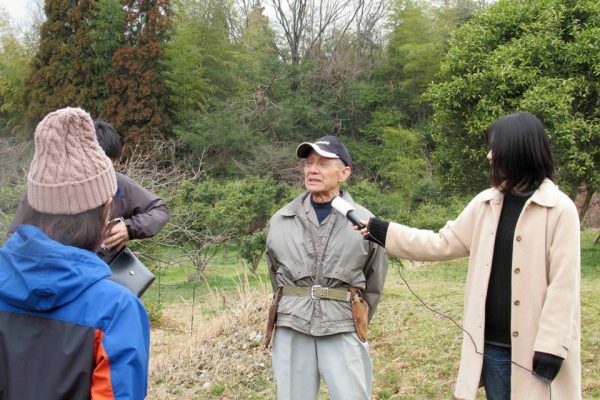 The farming families over 60 years old in several people are managing Yuzu trees. 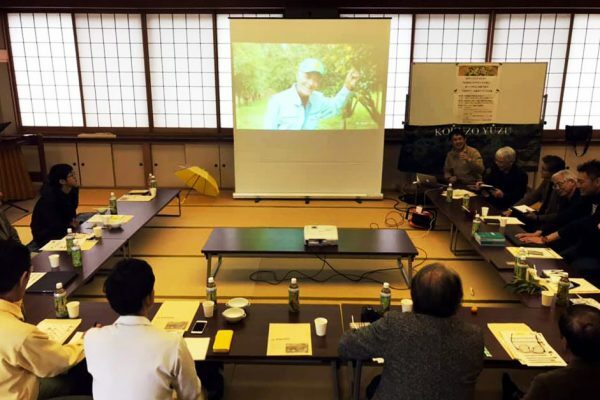 There were 46 houses of Yuzu farmers 30 years ago. However, they decreased to 7 houses, now. 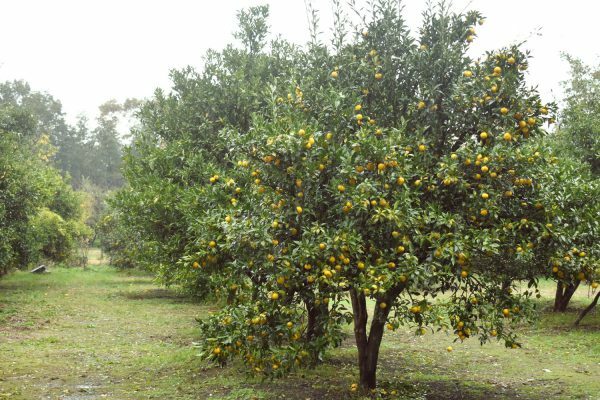 Reducing the number of Yuzu field, and hardly to find a worthy succesor. when we saw the current condition of Kokuzo Yuzu first time at Nomi city in 2016. We want to carry the precious Japanese tradition to next generation. 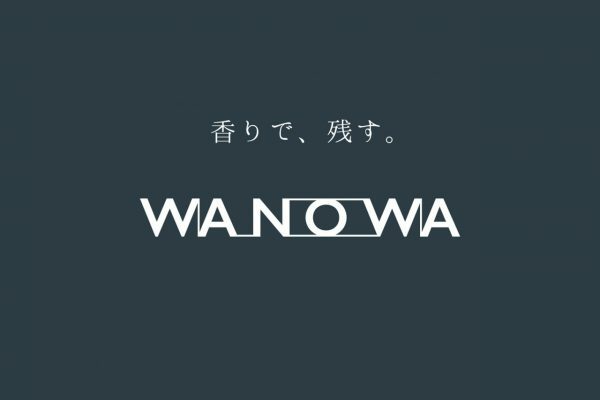 and “WA (cycle)” connects between Japan and the world. 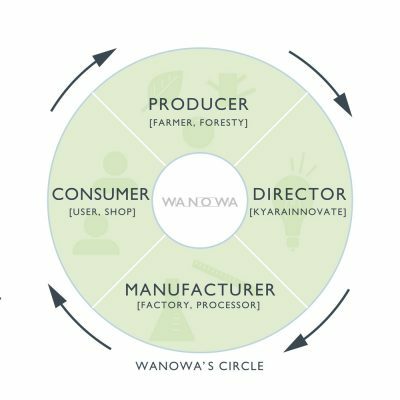 Those desires are into the WANOWA, and the project “KOKUZO YUZU” is our first step. 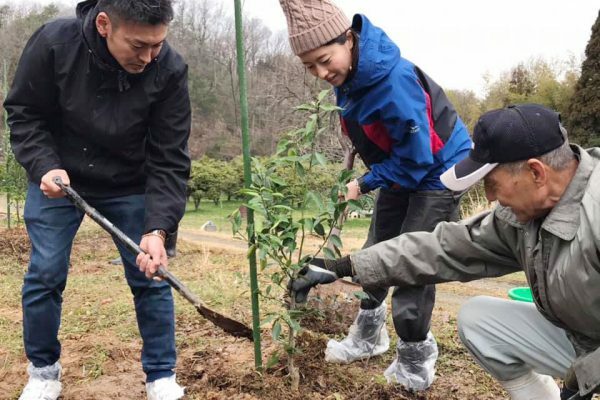 Sales release in 2017, and WANOWA project held the ceremony of plant tree for Yuzu in March 2019. We reported the progress of the project with showing exhibition or a shop of distribution. We have done the exchange of opinions for spread “KOKUZO YUZU”. We planted 40 nursery plant at the ceremony of plant Yuzu tree. The farmer could not plant trees for 34 years. Primary school students in local area joined the ceremony. 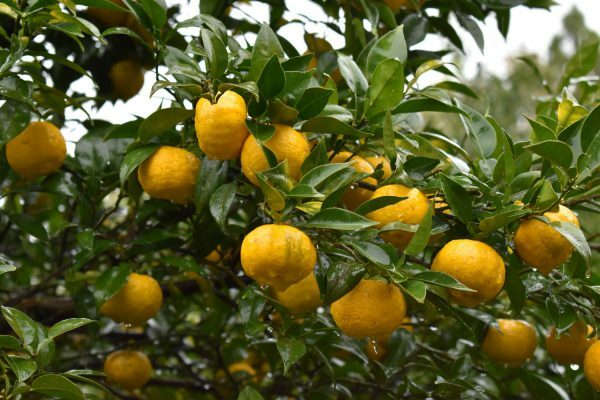 There is an opportunity to know the existence of “KOKUZO YUZU” by this event. And also, it is very important for rasing the visibility of local resident and others through media. Yuzu are taking quite long time to mature for harvest. for long time as a local speciality at Nomi city. 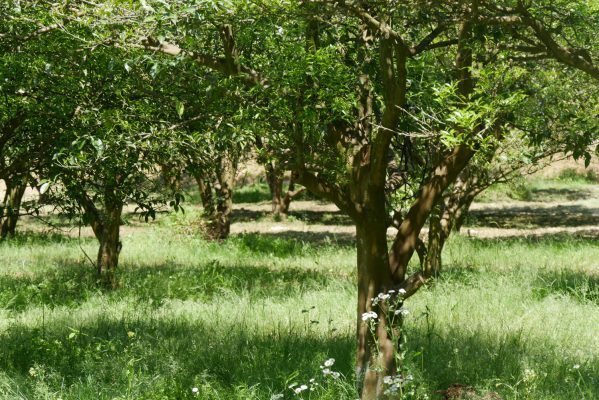 We are looking forward to seeing the mature Yuzu trees after 18 years.